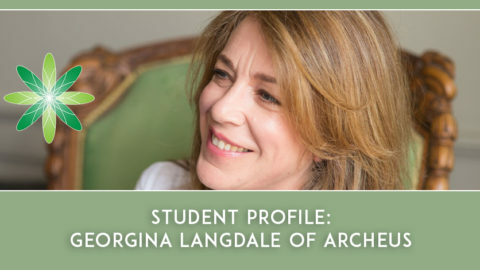 Our graduate interviews are some of our most exciting articles on the blog because we get to see our inspirational graduates start the business of their dreams. 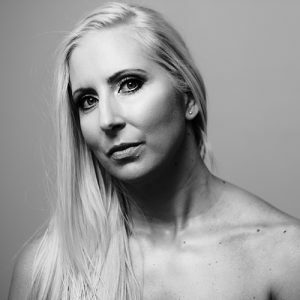 In this interview, we had the pleasure of speaking to Karen Potgieter, Founder of L’abeille in South Africa and Formula Botanica graduate. 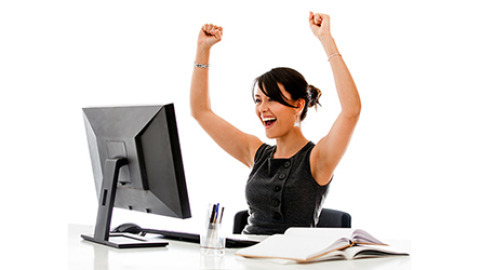 Hi Karen, please introduce yourself to our readers! My name is Karen Potgieter, and I am truly blessed to live in nature, on a beautiful farm outside Port Elizabeth, South Africa. After being a city girl for many years, it has been an amazing blessing to be able to move to our farm, which is now our home base. We farm with a little bit of everything – from sheep & game to oats & lucerne lands. We also have an apiary on the farm. My husband and I have 4 girls – they are my inspiration to succeed & my husband is my No.1 supporter. I am very fortunate to have a well-equipped lab on the farm, and am able to work from home. It all started after our first honey harvest. I started researching all the amazing benefits of honey & the use of beeswax in skincare. 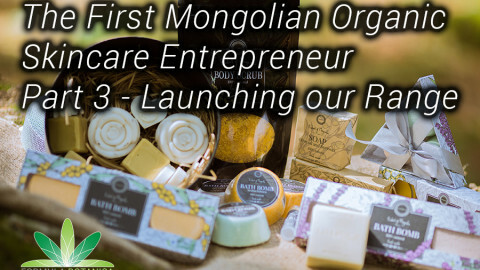 I started off with small scale production of more balm based body products, which lead to the development of my first range – Bee Pure. I then decided I wanted to produce a more targeted High Performance Skincare Range. Lots of studying & research followed, and after 4 years L’abeille was finally launched in December 2017. All ingredients used in the L’abeille Range are carefully selected for their function, high quality & effect they have on our skin. High Performance Ingredients are used at the correct & most effective %, as used in their in-vitro & in-vivo testing, & are scientifically proven in their claims. No fillers are necessary in L’abeille & every ingredient has a purpose in the formulation to keep the product balanced, safe & results driven. My formulas are a scientific combination of very carefully selected & fully researched High Performance raw materials, African Oils, Botanical Extracts & Essential Oils. 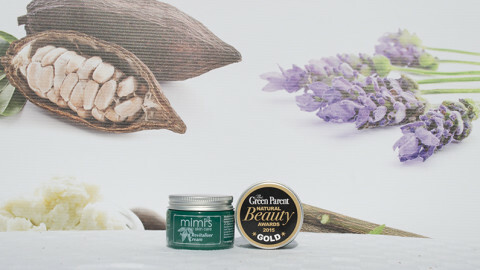 Every ingredient is also Ecocert/Natural compliant & never tested on animals. The L’abeille range is fully endorsed by Beauty without Cruelty. All raw materials are sourced from sustainable sources that carry the least impact on our environment. Any preservatives used in L’abeille are thoroughly investigated so that I am sure to offer my clients a product with the least chance of sensitivity, but still without putting them at risk of using a compromised product. 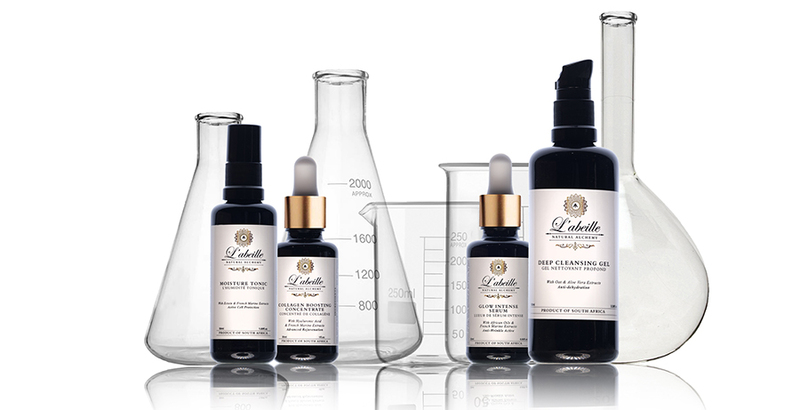 I am very proud of the ethics I carry through all of my decisions relating to the choices & manufacturing of the L’abeille Skincare Range. Where did you get the inspiration for your brand? L’abeille (which means ‘The Bee’ in French) is a story of my heritage and my home country. Having French decent, but being born and raised in South Africa, I decided to combine my love for both. In the L’abeille range I have combined exquisite African oils with some outstanding high performance actives, some being harvested off the breathtakingly beautiful coastline of Brittany, France. The floral extracts and honey used in L’abeille would not be possible without our bee colonies, which are so important for the sustainable existence of all our beautiful flowers, hence the use of L’abeille as our brand name. 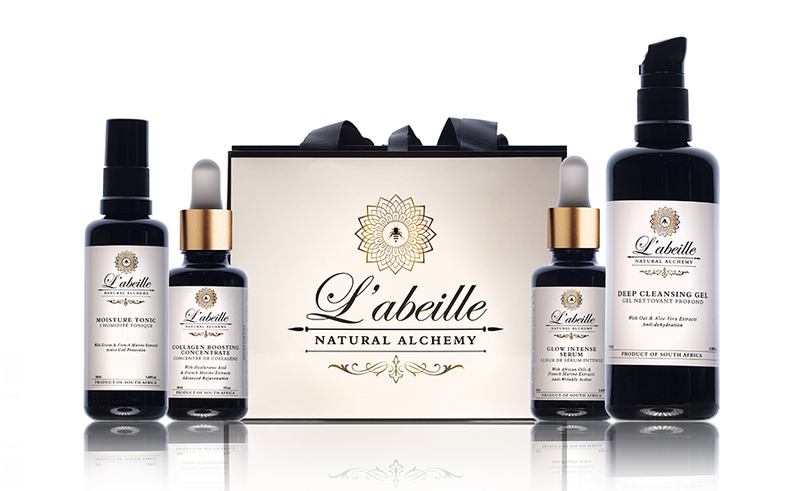 What type of skincare products do you sell at L’abeille and which one is your favourite? 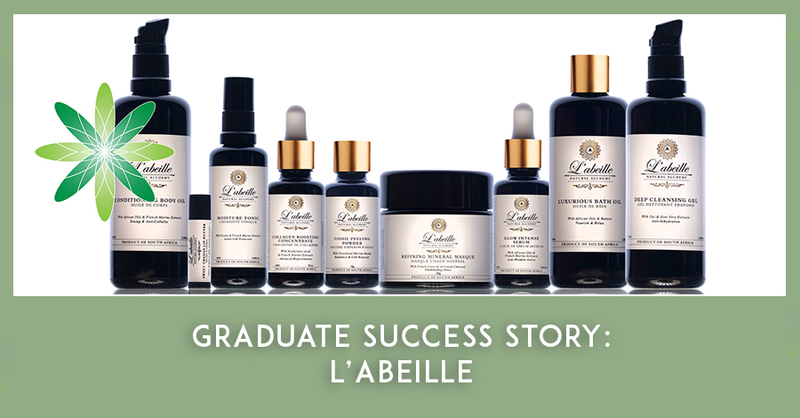 L’abeille offers advanced capsule skincare systems for targeted benefits. There are 3 kits available at present in the range – The Face Therapy Kit, Masque Therapy Kit & Body Therapy Kit. The Face Therapy Kit consists of 4 skincare products with outstanding anti-ageing benefits. It offers active cell protection, boosts collagen & hydration levels & leaves skin with a healthy glow. I love this kit, and would never go without it! 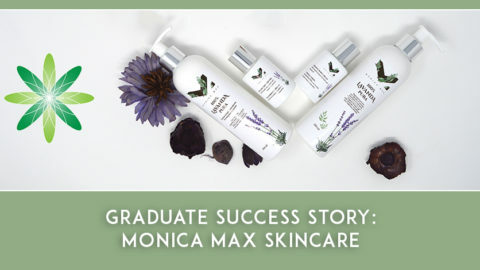 I studied 3 courses through Formula Botanica – the Diploma in Organic Skincare Formulation, the Advanced Diploma in Organic Cosmetic Science & the Certificate in Organic Anti-ageing Skincare. They have equipped me with the knowledge and confidence I needed in product development, formulation, correct research methods & ethics. Skincare has been a passion of mine since very young, and this is something that played a big role in my awareness of product ingredients. I wanted to develop a brand that I knew was good for my skin, where I knew what ingredients were used in it, and where they came from. I wanted to be able to offer a skincare range that was not only good for us & our environment, but also included proven high performance actives at an affordable price. 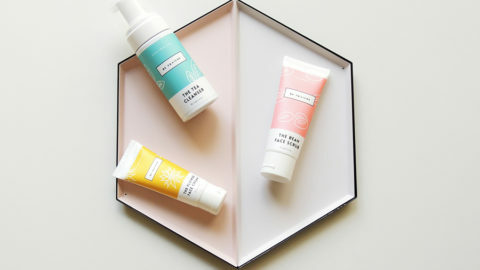 Trying to find suitable & unique packaging & labelling for a South African brand, as we are very limited with choice, without having the bulk buying power of larger mainstream brands. Conception & design of everything, from writing all of my own labels to visualizing the final product & brand appeal. Thank goodness design is also one of passions! To never give up on your passion & goals you have for your brand. Set deadlines, to motivate you to meet set goals in a certain time frame. It takes lots of effort to realise your vision & dream, but is all worth your accomplishment in the end. There will always be setbacks along the way, but never let that make you lose sight of your end goal. Brands are not built overnight, and it sometimes may be discouraging to not see instant response to your brand & rapid growth, but it will happen with consistency & perseverance. 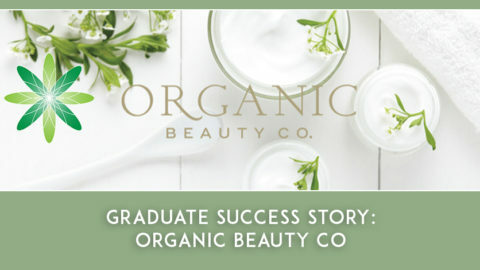 If you want to follow in Karen’s footsteps then take our free sample organic skincare formulation class and be on the way to starting the skincare business of your dreams.